The Extreme Rescue XR-1 knife from Ontario OKC is designed for emergency rescue professionals. 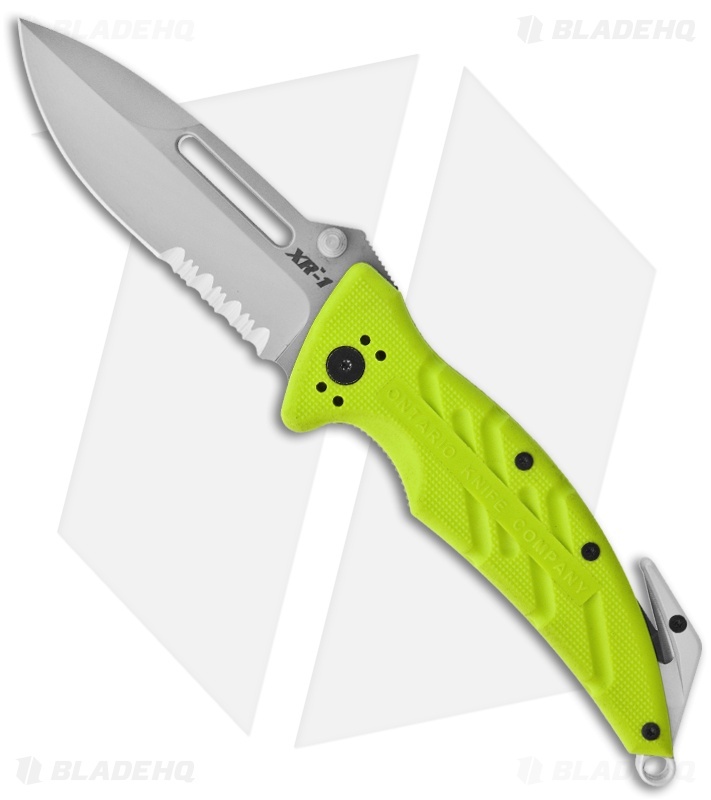 It is based off of the high performance XM folder and adds a large lanyard hole along with a strong, capable strap cutter. 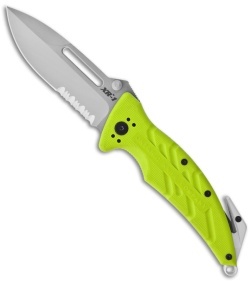 The thick handle utilizes a steel liner lock frame with safety green Zytel scales. The shape of the handle contributes to its great overall feel, with a deep index groove and jimping on the thumb ramp. 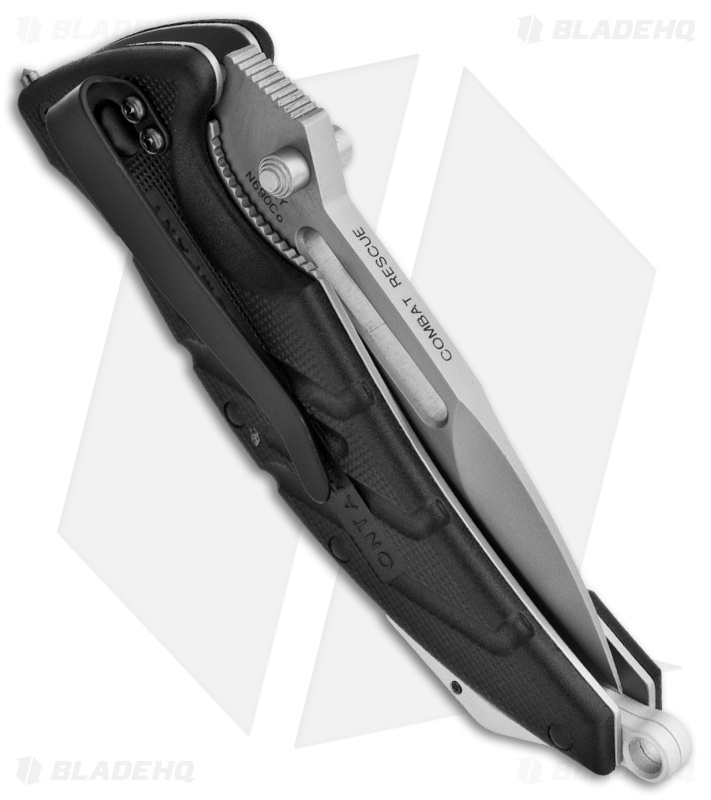 The pocket clip is reversible tip-up carry with deep carry. The bead blast finished N690Co stainless steel blade is partially serrated and uses dual thumb studs for easy one-hand operation.